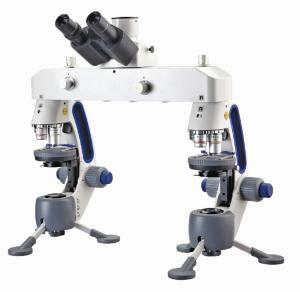 Combine three microscopes into one. View specimens in both microscopic and macroscopic views through the M3 monocular with magnification ranging from 10x to 400x. 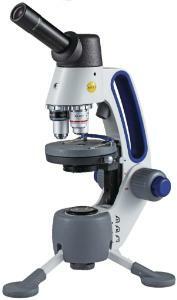 Adjustable stage positioning and a wide range of objectives allow you to quickly transition from compound to macros. 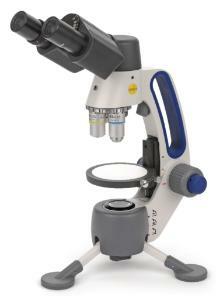 Because the unit is cordless, this microscope is ideal for taking along on off-site experiments; it's durable metal construction and unique tripod base allow you to remain sturdy, even on rugged outdoor surfaces. An energy-efficient, rechargeable LED light clearly illuminates even the smallest detail. Includes 3 year, limited warranty.